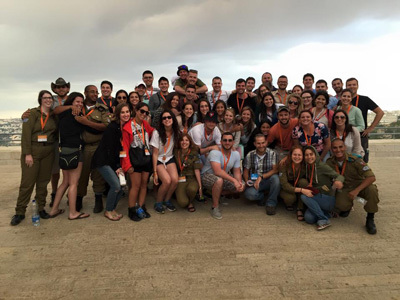 'Tis the season for Taglit-Birthright Israel trips. For those of you who were accepted on the Birthright summer program, you are about to have one of the most incredible experiences of your life. 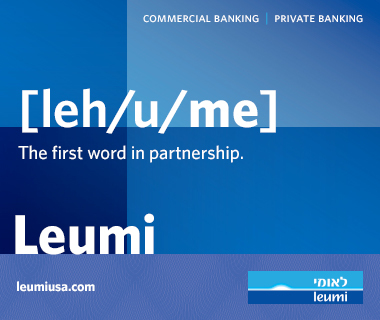 Soon you'll be sharing your camel-riding, Masada-climbing, Dead Sea-floating photos all over Facebook. To those of you who've already gone, you know the high you have while in Israel and the low you feel when you're no longer surrounded by the 50 or so people who became your best friends in just a few days. I definitely felt prepared before I went to Israel because of the suggested packing list from my trip organizer. But, now that I've gone through the incredible experience that is Birthright, I can share, with expert knowledge, how to best prepare for this trip you'll never want to come home from. Yes, Birthright is that amazing. So, I've provided you with a short list of suggestions and items you most definitely want to carry with you during your travels through the Promised Land. Men don't usually have an issue with over packing, so this tip is really for my ladies. Don't pack five pairs of leggings, three pairs of jeans, and two pairs of heels for the two nights you go out. I survived on, wait for it, one pair of leggings, one pair of jeans, and I didn't even bring heels. The people you meet on your trip become your best friends, and they don't care about how you look. They care only about the person you are. Focus less on your outfits and more on the unforgettable experiences you'll be having. Do pack cough drops, Advil, bandages, sunblock, and allergy medicine. Since your days are jam packed with unforgettable activities and nights consisting of four hours of sleep on average, it doesn't hurt to be prepared in case you start feeling under the weather. In addition, drink an excessive amount of water all day, every day because you don't want all of the amazing hiking, sight-seeing and socializing to catch up to you. I took a ton of photos and am really happy I did. I packed a journal thinking I would have time at the end of each day to write about the activities I did and the funny and memorable moments. I was completely wrong. You have basically no time to yourself, so take plenty of photos so you can look back and remember all of the amazing moments you had and people you met. There are Birthright programs that suggest bringing $200 to $300 that you later exchange for Israeli currency. You could very likely spend more than that. I did. Your suitcase will start overflowing with gifts for your family, like chamsah necklaces for your bubbe and mom; a yarmulke of your dad's alma mater; many shot glasses for friends and siblings; and, of course, an Israel Defense Forces sweatshirt, t-shirt and muscle tee. Finally, don't forget to be open to every experience your trip has to offer and relish every moment because your time in Israel days will go by too fast.